Comedy series. 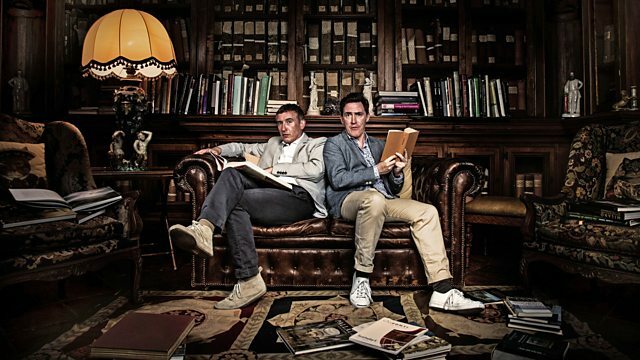 Rob Brydon and Steve Coogan take a road trip around Italy to review six restaurants. They begin in Piemonte at the Trattoria Della Posta. Rob Brydon and Steve Coogan are asked by The Observer to do another series of restaurant reviews. The pair have six meals in six different places on a road trip around Italy. They begin in Piemonte at the Trattoria Della Posta before stopping at Byron's house in Genova on their way to the Cenobio dei Dogi in Camogli. Steve is on hiatus from his American series and isn't drinking, while Rob is looking to unwind during his time away from his young family. Clips and more from the first series of The Trip.